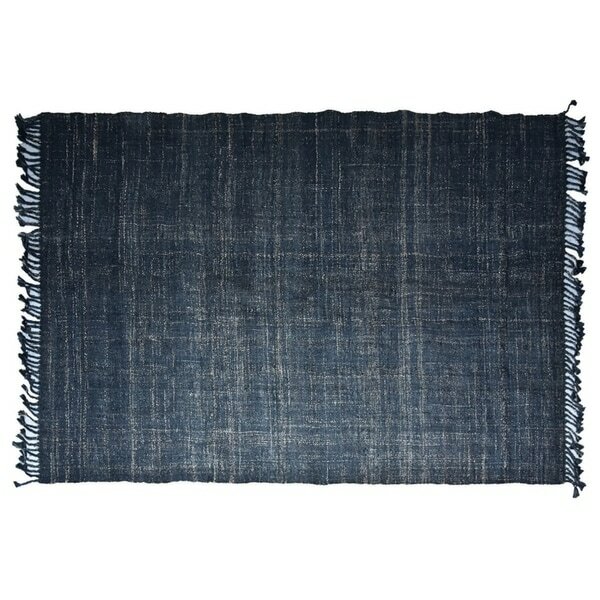 This lovely reversible braided jute fiber rug adds contemporary elegance to your home space. Braided fiber lengths are stitched into the rectangular rug shape. Hand-spun jute fibers are naturally silky, highly durable and are a fully renewable resource. Do not pull loose ends. Clip them with scissors to remove. To prevent dust and crumbs from settling into your rug, vacuum regularly and/or shake. Professional rug cleaning recommended. Blot spills immediately with a clean cloth. Features: Natural 100% jute fiber Tip: We recommend the use of a non-skid pad to keep the rug in place on smooth surfaces.